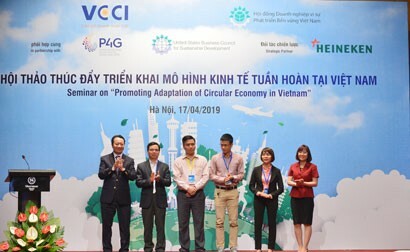 Vietnam’s export value recorded US$244.7 billion in 2018, representing a year on year growth of 13.8%, and continued to be a bright spot on the Vietnamese economic landscape in the year. This helped drive the economic growth to 7.08%. According to the General Statistics Office, the domestic economic sector earned US$69.20 billion from exports, while the foreign invested sector made US$175.52 billion. As many as 29 exports brought home at least US$1 billion each in the year, accounting for 91.7% of the country’s total export value. Nine exports each generated more than US$5 billion and five brought home over US$10 billion each. Telephones and components earned US$50 billion in 2018, up 10.5% year on year, followed by garments and textiles with US$30.4 billion (up 16.6%); electronics, computers and components with US$29.4 billion (up 13.4%); machinery, equipment and spare parts with US$16.5 billion (up 28%); and footwear with US$16.3 billion (up 11%). In general, foreign direct investment (FDI) companies still held lion’s shares of key exports. For example, they accounted for 99.7% of telephones and parts; 95.6% of electronics, computers and components; 89.1% of machinery, equipment and tools; and 59.9% of garments and textiles. Besides, many agricultural exports secured high growth. In particular, seafood exports reached US$8.8 billion, up 6.3%; fruit and vegetable exports amounted at US$3.8 billion, up 9.2%; coffee shipments rose 1.2% to US$3.5 billion despite falling prices thanks to a 20.1% growth in volume; and rice exports reached US$3.1 billion, up 16%. 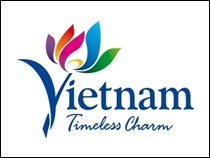 Some exports of Vietnam affirmed their position in the world market thanks to high competitiveness and large scale. Vietnam ranked first in the world in exporting pepper, cashew and pangasius, second in coffee, and third in rice and shrimp. Some key exporting industries such as garment and textile and leather and footwear have increasingly asserted their positions in the world market. Vietnam’s garment and textile exports surpassed Bangladesh in 2018 to be the third largest exporter of rice, only behind China and India. Vietnam was even right behind India. 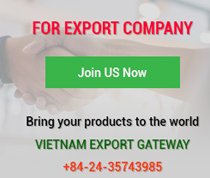 On the export market, according to the General Statistics Office, the United States was the largest export market of Vietnam, generating US$47.5 billion, up 14.2% year on year. The export value of telephones and components, footwear and apparels rose 46.7%, 15.3% and 13.7%, respectively. The European Union (EU) came second with US$42.5 billion, 11% higher than a year ago. The export value of electronics, computers and components; telephones and parts; and apparels to this market expanded 23.2%, 16.2% and 10.5%. Vietnam’s shipments to China were worth US$41.9 billion in 2018, up 18.5% year on year, with telephones and parts rising by 52.8%; electronics, computers and components by 25.8%; and fruits and vegetables by 10.2%. ASEAN brought US$24.7 billion to Vietnam, up 13.7%, with rice rising by 105.5%; iron and steel by 39.1%; and garments and textiles by 37.4%. Shipments to Japan reached US$19 billion, up 12.9%, with garments and textiles climbing by 24.8%; electronics, computers and components by 14.1%; and machinery, equipment and parts by 7.7%. Exports to South Korea valued US$18.3 billion, an increase of 23.2%, with electronics, computers and components expanding by 40.8%; garments and textiles by 32.6%; and telephones and components by 12.6%. The agricultural sector also performed well in 2018 as agricultural products are exported to 180 countries and territories in the world, with the 10 biggest markets being China, the United States, Japan, South Korea, Germany, the Netherlands, England, Australia, Malaysia and Italy. 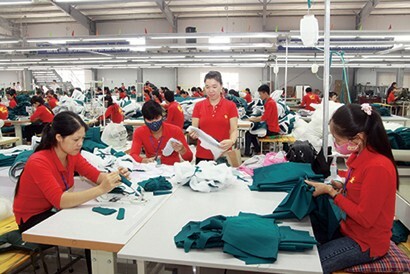 According to the General Statistics Office, Vietnam’s import value increased 11.5% year on year to US$237.5 billion in 2018, with 36 items taking at least US$1 billion from Vietnam, accounting for 90.4% of total import spending. Four imports took over US$10 billion. Main import markets of Vietnam included China, South Korea, the EU and the U.S.A. China is Vietnam's largest supplier of inputs for Vietnam with US$65.8 billion, 12.3% more than in 2017. Vietnam ran a trade surplus of US$7.2 billion in 2018, the highest in history and much higher than the target set by the National Assembly. Indeed, the trade balance was always a surplus since 2016. The trade surplus was US$1.78 billion and US$2.11 billion in 2016 and 2017, respectively. Good control of trade balance was attributed to an increase of forex reserves, which eased exchange rate pressures, stabilized the foreign exchange market and improved the international payment balance. This result partly came from market opening. More and more businesses utilized free trade agreements, especially with such markets as South Korea and Japan. In all markets that Vietnam signed FTAs, it ​​enjoyed high export growth, for example South Korea (23.2%), ASEAN (13.7%), Japan (12.9%), the EU (11%), the U.S. (14.2%), and China (18.5%). In addition, streamlined administrative procedures and business investment conditions also facilitated businesses to increase exports. Remarking on import and export performances in 2018, Mr. Vo Tri Thanh, an economic expert, said, export performances were very optimistic in 2018. 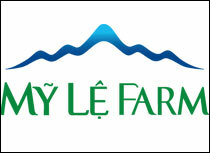 Many Vietnamese businesses tried to grow to join value chains for better performances. This showed that domestic production also recovered very strongly. The positive export results in 2018 will put greater pressure on export targets in 2019. However, according to experts, much room remains for export growth in 2019. The Ministry of Industry and Trade forecast Vietnam’s export value at US$258 billion, 8-10% higher than in 2018. This is a challenge amid many unfavorable conditions on trade. But, there are still many opportunities. Firstly, merchandise exports will grow more on better business and investment environment. 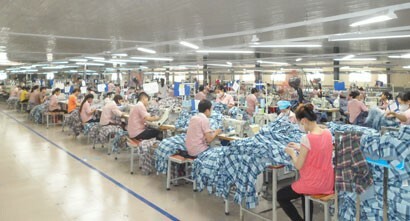 In particular, the official effectiveness of the Comprehensive and Progressive Agreement for Trans-Pacific Partnership (CPTPP) in early 2019 and the expected signing and enforcement of the Vietnam - EU Free Trade Agreement (EVFTA) in 2019 are exerting a strong pull on foreign direct investment flows which enable Vietnam to have strong production power. Vietnam’s key exports will have a huge opportunity when these free trade agreements take effect. 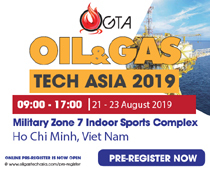 Particularly, the CPTPP is expected to give a strong boost to many industries in Vietnam, such as garment and textile, leather and footwear and fishery. Secondly, more businesses invest more to improve product quality and pursue sustainable export growth. This is an important factor for stronger export growth in the coming time. To achieve this goal, the Ministry of Industry and Trade also proposed some major solutions like expanding production, improving product quality and developing markets. The ministry underlined solutions to boost export, link production and processing chains, control input sources, follow regulations on origin to take advantage of tariffs. In addition, the ministry will review and assess impacts of signing and implementing FTAs ​​on each sector to tune up sector development strategies. Trade promotion will be made for specific products. 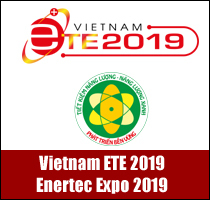 With these export solutions, Vietnam hopes to have more opportunities to make stronger breakthroughs in 2019 and achieve all objectives.